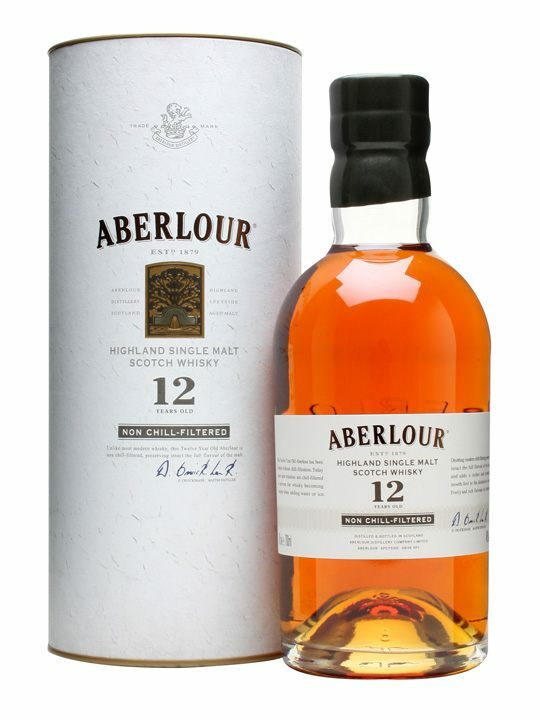 This evening I’ve been lucky enough to joining a gaggle of whisky folks online for a Twitter Tasting of most of Aberlour’s range, a distillery in the heart of Speyside, and one of my favourites. We were lucky to be joined the very lovely and accommodating Ann Miller (represented in notes below as AM), International Brand Ambassador for Chivas Brothers (Aberlour’s owners). I was lucky to meet Ann a few months back for a personal tour of Longmorn! This expression is a fine example of how the distinctively crisp, citrus character of Aberlour’s raw spirit is deftly softened by double cask maturation… Oak & seasoned Sherry butts are both used, as the mellowed spirits within are combined to deliver a subtly balanced flavour. 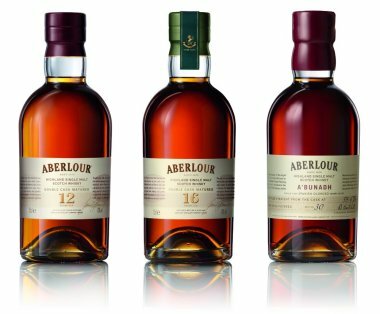 Aberlour’s uniquely rewarding depth of character derives from how it’s made as much as the quality of the soft spring water and the other ingredients. Nose: Gently sweet malt with soft autumnal red apples, relaxed with toffee / caramel notes. Palate: Particularly easy to drink, soft on the palate, almost too soft, don’t go adding water! After a while on your tongue you get very gentle spices mixed with sweet fruity oak notes. It’s relaxed and yummy. Finish: Slightly less sweet than you’d imagine as slight tannins start to show, not unpleasant, not overly long. Thoughts: A very nice session whisky that won’t offend anyone, keep on one on the shelf for visitors. 83 ish. Steeped in centuries of legend & surrounded by the dramatic Highland scenery of Ben Rinnes the village of Aberlour lies at the very heart of Speyside, where the Lour burn joins the River Spey. The exceptionally pure, soft spring water used for making Aberlour whisky is drawn from nearby natural springs. Matured in a combination of ex-bourbon casks & ex-sherry butts. Nose: Surprisingly sprightly, with a higher proportion of bourbon giving it a lovely zing, green granny smith apples. Palate: Immediately you get oak on the palate, maybe more than the nose would lead you to imagine, it’s a fairly fresh sawdust sweet oak followed on by barley malt and then the sweet green apple freshness you found when nosing. Finish: The finish is really quite long here, almost fizzy with oak notes kicking around for ages amongst sweeter maltiness. Thoughts: A more adult dram this, maybe not for total beginners, it’s a little less sweet than the 12yo, a bit more oaky and spicy, but for a more seasoned drinker it’s a lovely drop indeed. The extra 3% ABV really helps improve the mouthfeel. 84 ish. Colour: Deep golden with yellows and reds playing. Nose: A “full strength” nose, full of Oloroso sherry notes, that’s figs and sweet raisins, toffee and light alcohol zing from the high ABV, totally different to the 16 and a distant lost cousin to the 12. Palate: You expect the very high ABV to slap you in the face, yet it creeps up on you fairly smoothly, gently warming up your tongue with heat and spice until you need to swallow. There’s the sherry sweetness there, but the distillery character apple charm is still there intact in the background. Lovely full and thick mouthfeel due to it not being chill filtered which is a treat. Finish: Very warming on your chest, long with red toffee apple sweetness, leaving more gentle spices and autumn fruits on your palate. Thoughts: Yummy, I’ve always thought very highly of these releases (along with most other whisky geeks).. they’re well priced and awesome quality for what you get. There’s no age statement, but it doesn’t need one and is one whisky that no one has generally moaned about in that regard. 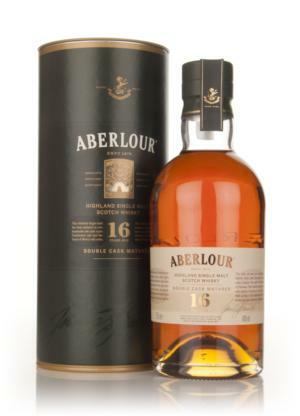 An excellent value dram to keep on your shelf. Takes water well too. I have a bottle of Batch 37, and I’d say this batch is a touch sweeter and all the better for that. 87 (more age please, but otherwise great). Matured in a combination of ex-bourbon casks & ex-sherry butts. The current whisky maker & his team are the same men who originally laid down the casks over 18 Years ago. Colour: Deep golden. I rather think caramel colour has been used, these all look *very* samey. Nose: A more mature nose to this, older, more subtle and relaxed (it would be after 60% ABV I guess!). Sweet older damp wood with autumn fruits waiting for a moment before coming forward. Already I’m very happy, it’s one to nose for longer than the rest. 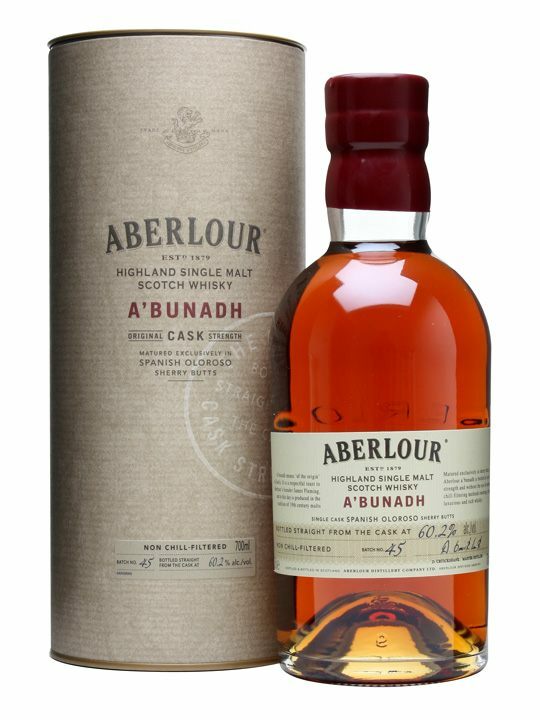 Palate: Richly smooth after the high ABV of the a’bunadh, the older age also helps, but don’t be fooled, it build to have some fairly good spices quite quickly, although they’re tempered so as to not be too much. A slight ashy nature (from the cask?) which brings more gravitas to what becomes a gentle giant the longer you hold it on your tongue. Baked apples with vanilla custard. Finish: A spicy tickle before settling into a fairly long and warming sweet stewed winter fruit finish. Altogether more grown up. Thoughts: I had no particular expectations for this, but it’s gooood, the 18 years settles it out into a more mature, later evening drink. One let down, being chill filtered, the obvious good whisky here would be really kicked up a notch at 46%. 88. Colour: Full house. It’s dark golden. Funny that. Punters love it though and it’s forgivable. Nose: A much fuller nose than most of the rest of the range, you can almost smell the thicker oils waiting to get out. Malty and slightly nutty, rich and exciting, zingy yet caramel sweet and packed with stewed fruits and a wee pinch of smoke. Palate: A much thicker mouthfeel than the slightly thin standard 12yo. 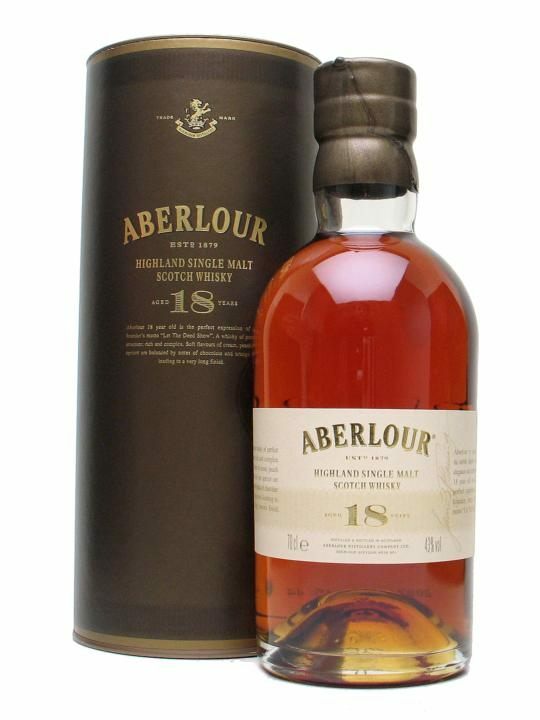 The sweetness is well balanced with the malt and the oak to present a nice rounded dram that sits happily on your tongue. There’s gently spiced stewed apples sprinkled with brown sugar and a small drop of vanilla custard on the side. Finish: Nicely warming on your chest with a pleasing longevity, sweet and oak still in good balance. Thoughts: The thicker mouthfeel works fantastically well for this dram, it’d be great if the whole range could go this way as some other distillers have gone. If you have the cash get this over the standard 12, you won’t regret it. 88 (The NCF brings it into the same playing field as the 18, the 18 would go higher if presented similarly). Available: The Whisky Shop – £49.99 (+ 10% discount for club members if you sign up for free). Also from The Green Welly Stop for £51. Final Thoughts: The lovable high ABV a’bunadh still shines through, but the 18yo and the 12NCF have been great finds for me tonight. 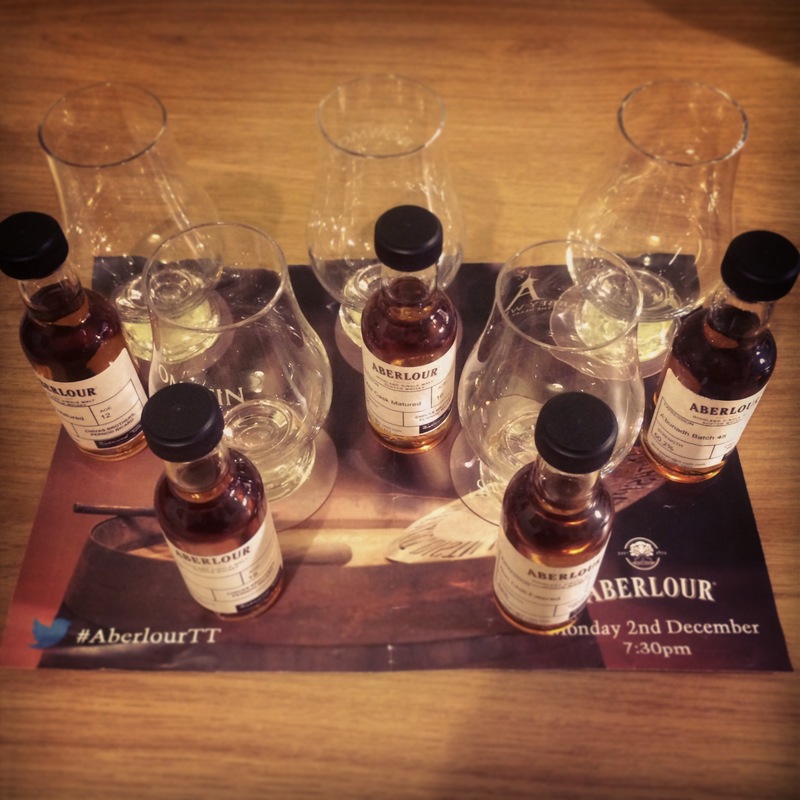 Thanks to Aberlour for the samples! 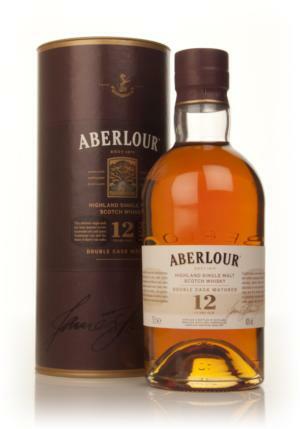 This entry was posted in Review, Whisky and tagged Aberlour. Bookmark the permalink.